As you might have noticed, I'm sort of obsessed with coloured hair. Turns out the world is too. 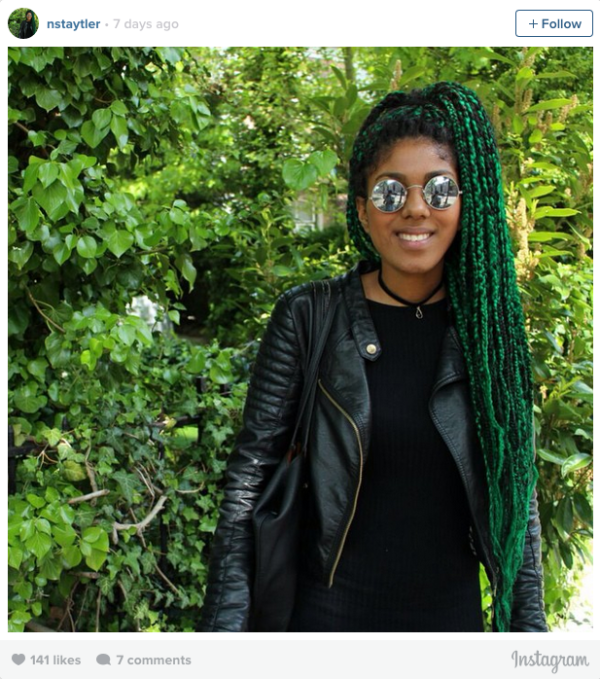 Green hair has been taking the world by storm. I have always had a soft spot for green- it is after all my mum's favourite colour. Earlier this year, we were seeing more of the aquamarine green but we're sort of bored with this look after seeing men dyeing their hair and beards aquamarine (Yup! It happened) so I was happy to see more of green. I mean actual leafy green. Lets get right down to the hairstyles! 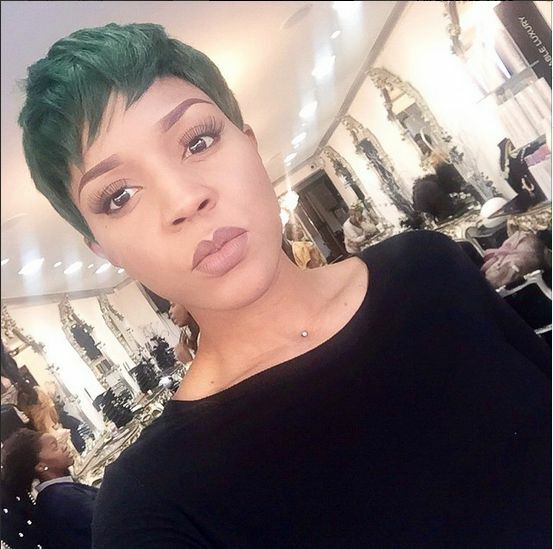 As noticed with the Grey Hair Trend, green was mostly rocked in weaves. Was quite pleased when I noticed people wearing green braids. This look is quite safe compared to all green. The black tones down the green a little and gives it a funky feel as an added bonus. I particularly love how the hair was styled with the outfit perfectly matching the hair. I love pixie cuts! I sported mine earlier this year but decided to let it grow out a bit, rock it, then cut it. I think this is a unique look. If dyeing you natural hair, it's advisable to use a darker shade of green. It's your hair, you can't just take it off. If you're feeling daring, by all means use a lighter shade. Also the style of the pixie cut should match you face shape. How Awesome is this look?! Again, would advise a darker shade because its supposed more socially acceptable. This look is easily achieved using attachment. 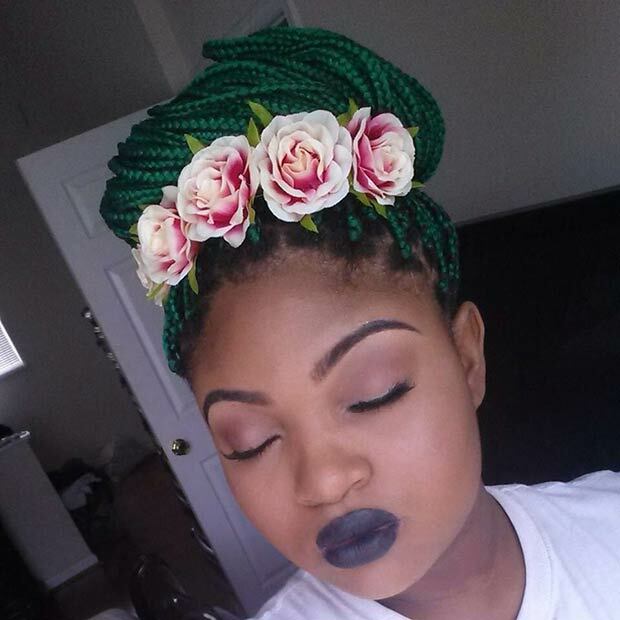 Box braids would also look cool. This is sort of a two in one thing. 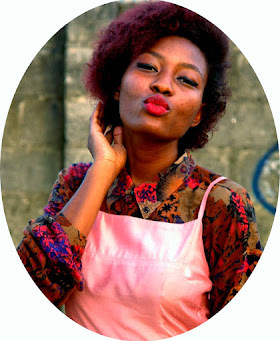 This look is easily achieved using yarn more popularly known as wool. I prefer the faux locs though. If you like the twists smaller, simply tighten them. I think these looks have a certain retro, funky look about them and they are certainly unique. Of course, this list wouldn't be complete without the ombre look. I like how this one fades to golden-green at the ends. Again unique and rockable. I am loving these hairstyles as I think they're unique. Yes, they're not particularly appropriate in less fashionable working places but they are fun to rock though. 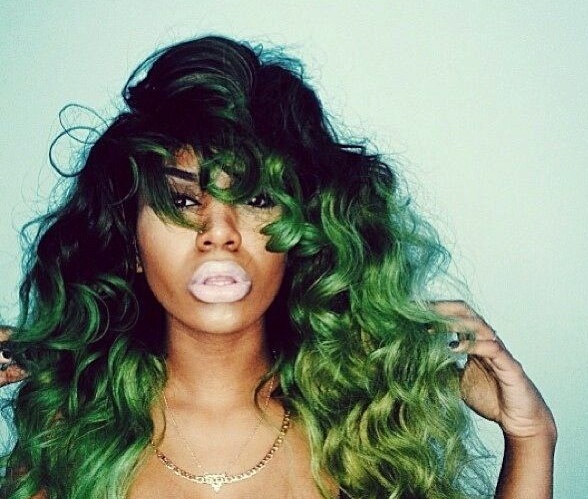 Would you try green hair? Do you think these hairstyles are unique? Are you keen on this hairstyle? Yay or Nay? Let me know in the comments, I'd love to hear from you. I love color hair trend. This green is def on my list. I think more doing less writing. But where I get the green braids tho. Let's start from that. Thanks for sharing lovely. 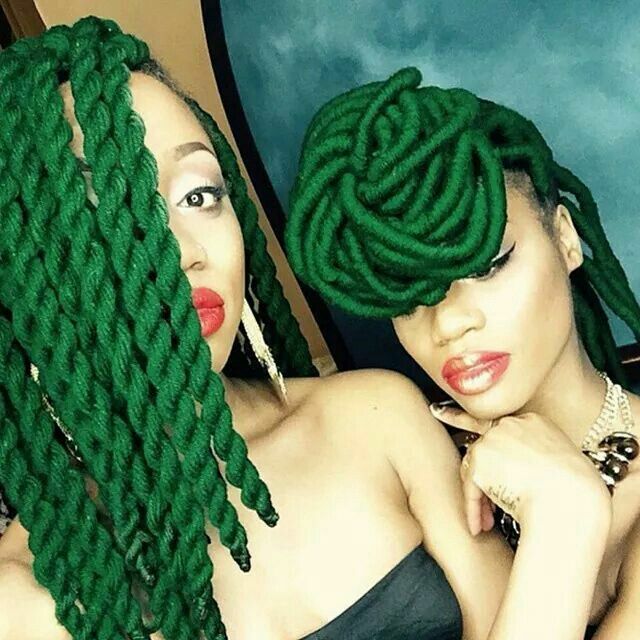 Green attachment for the braids should be available at your local beauty store. If they don't they have that, they'll probably have green yarn. I think you should try it. I know, right? I am seriously considering it. Interesting trend, but I don't think I've the balls to rock that. Ha! I know, right?! still summoning mine. Think I'll stick to purple, red and grey though. As iiin!!! I know what you mean! They are lovely. But sadly coloured hair not allowed at my work place. That's why I am trying to rock all the rockables before I start working. Thanks for stopping by! Thanks for info .Your hair color is awesome, it suit you.Today I know some new info from your site.I know a site for hair styling equipment (http://www.myhaircarecoach.com/). Hope it will help you. Thousands of people all around the world like using synthetic wigs for hair styling. This is the only reason behind its growing popularity.